Water Bottle Shrink Wrapping Machine. 1. Increasing the work efficiency. Speed : 1-4 PGS/Minute ** Terms and Condition Apply.. Thermal shrinkage temperature: 160-250 °C Speed: 8-12 packages. 2. 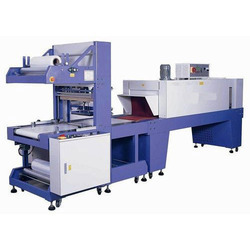 Shrink Packing Machine Fully Automatic Sleeve Shrink Wrapping Machine, Shrink Machine, Shrink Packing Machine. Capacity: 6 PACK PER MIN.